The Group of 20’s pledge to refrain from currency wars rings hollow. The world’s most important finance officials have neither asked the United States to delay raising interest rates, nor provided another plan to stop capital from fleeing China and other developing economies. Without these two steps, it’s unclear how the G20 can prevent the exchange rates of many of its members from continuing to swoon against the dollar. The International Monetary Fund has said since June that the U.S. Federal Reserve should delay its first rate increase to next year. At last weekend’s G20 meeting, IMF Managing Director Christine Lagarde once again cautioned against rushing a hike. But when the finance ministers and central bank chiefs of the world’s biggest economies sat down to write their Sept. 5 joint statement, they effectively blessed higher rates in the United States and Britain by saying monetary policy tightening is “more likely” in some advanced economies. If those rate increases accelerate already-large capital outflows from emerging markets, those countries’ currencies will extend their slide against the U.S. dollar. That won’t be a “competitive devaluation” in the sense of nations trying to seek an unfair advantage in export markets. But it could nonetheless trigger further depreciation. Mere talk won’t reverse capital flows, but the G20 has little else to offer. Though the world’s finance leaders said boosting investment is a “top priority” they don’t have a financing plan for emerging markets. Real fixed investment in Turkey – host to the two-day pow-wow – has slowed in nine out of the past 16 quarters. 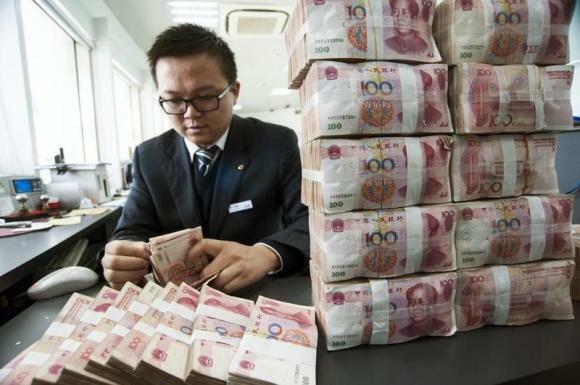 Investors are increasingly nervous about global deflation, which is why a mere 3 percent slide in the Chinese currency last month triggered a worldwide sell-off in global equity and commodity markets. There’s also little prospect that large economies like the United States and China will coordinate their policies. The G20 refused to acknowledge the deflationary threat. It has nothing to say about the overhang of private debt. The ministers pledged “timely and effective implementation” of their growth strategies. In the absence of any evidence that, too, is beginning to sound like an empty promise. The joint statement issued after a two-day meeting in Ankara neither advised the United States against raising interest rates this year nor recommended that China keep the yuan stable. However, the ministers and central bank governors did promise to “carefully calibrate and clearly communicate” their individual actions so as to “minimize negative spillovers, mitigate uncertainty and promote transparency.